Plot: A fluorescent tube illuminates an empty playground in the evening. 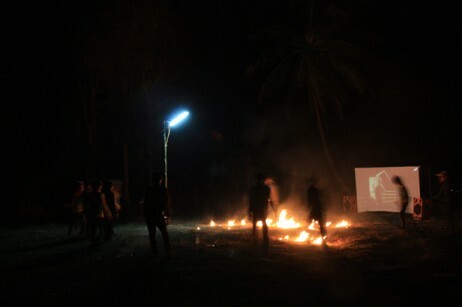 Nearby a flash of light is projected on a makeshift screen. As night falls, the silhouette figures of young men emerge, they are playing with a football raging with fire.